Today, Australia lost one of its most foremost political figures to date. Former Labor leader Gough Whitlam, who served as Prime Minister from 1972 until his notorious dismissal in 1975, died this morning aged 98. A controversial figure throughout his career, he was loved and respected by many. Tributes flowed all day for Mr Whitlam; here are just a few from some of Sajjeling’s readers and contributors. Today, we mourn the loss of a great political legend and arguably our greatest Prime Minister. And as we enjoy the pleasures and importance of free education and free healthcare, we thank and commend Mr Gough Whitlam for his contribution in reforming and modernising Australia. If you look at the politicians we have today, I can’t help but feel that we are stuck in a really bad sitcom made in the 1970’s – all politically incorrect jokes with a sleazy protagonist in budgie smugglers who likes to make fun of the token brown guy for a cheap laugh while he squeezes his nearest lady-friend’s tush. (Cue canned laughter). Gough Whitlam wasn’t perfect, but he left a powerful legacy that is unfortunately being undone by the buffoons we’ve since elected to power. RIP Gough. Your government will at least be remembered for making a difference. As he said, “The punters know that the horse named Morality rarely gets past the post, whereas the nag named Self-interest always runs a good race”. 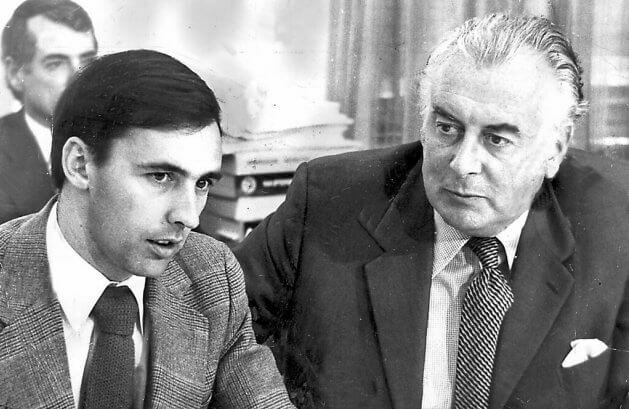 Whitlam with a young Paul keating. 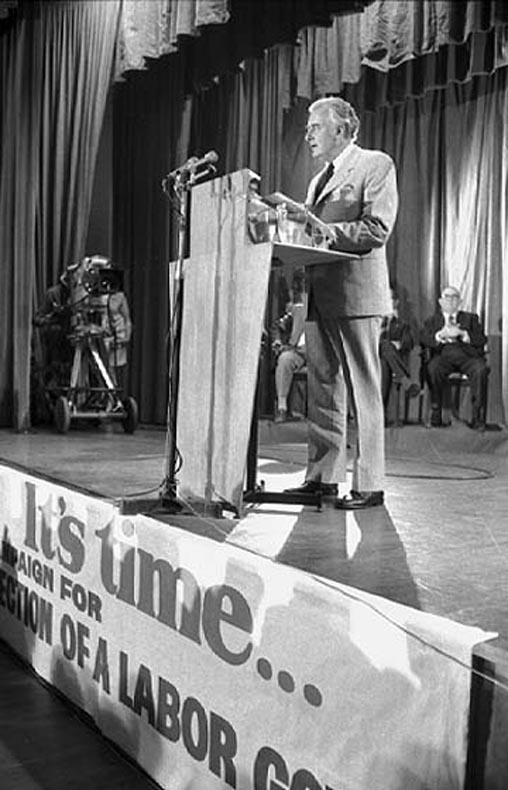 Gough Whitlam championed the rights of Indigenous Australians and advocated for the equity of immigrants. He provided aid to people at home through medicare and those abroad through foreign aid. He fought for women’s equality and brought our men home from fighting. 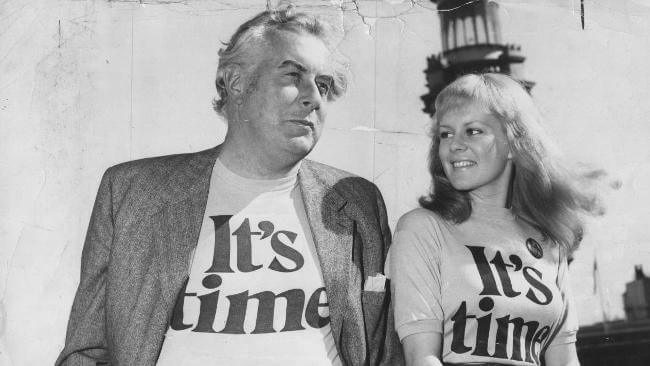 Whilst Whitlam’s term as Prime Minister came to a quick end, his influence on this nation will be never ending – Australians regardless of gender, status, colour or creed must make sure of this. As a university student, first generation Australian and a woman, I appreciate all that Gough Whitlam stood for. In my eyes, he remains Australia’s prime, Prime Minister. As an Australian and as a teacher, I salute you. You refused to deprive those without the means, an opportunity for higher education. And let us not forget your efforts in reclaiming the rights of the Indigenous.You once said that if you were to be remembered for anything, it would be your mission to return justice and equality back to the Aboriginal people. A true trailblazer in Australian history; thank you, Gough?. With news of Gough Whitlam’s passing, I am reminded of a Year 9 assessment on prime ministers. 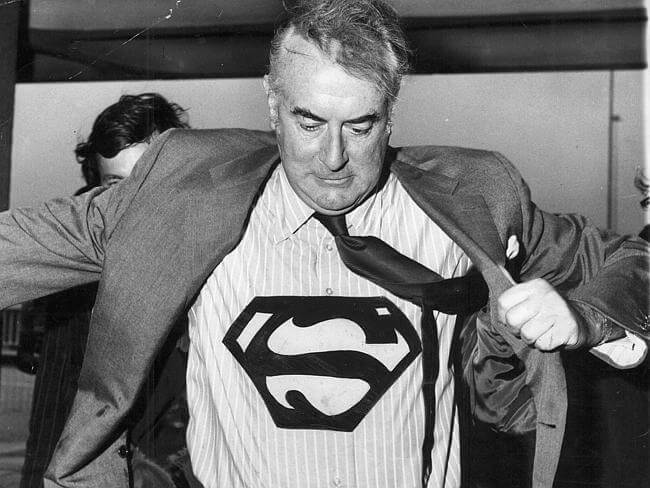 I chose Whitlam, which my teacher still reminds me of – apparently it was that good. So many liberties we were afforded, thanks to this man. Free education (compared to the proposal of deregulated uni fees), universal healthcare (contrasted with the proposed $7 Medicare co-payment), Indigenous land rights and more. Thank you, Gough. I think it would do our current government a world of good to follow in your path. 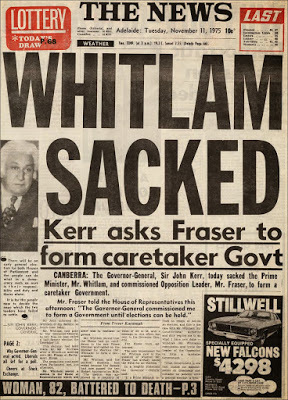 The great Labor leader Whitlam died! No one was like him. He brought some of the justice that we so need now. Gough Whitlam may have passed, but all he has achieved will continue to better the lives of every single Australian to this day. I am thankful for his influence in most major aspects of my life, such as education, health and our multicultural society. Most of all though, I am thankful for his classic one-liners. 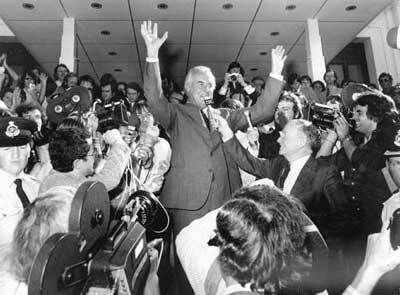 Whitlam, your effect is indeed eternal. Gough Whitlam: a visionary and an idealist. A leader who dared to work towards changing the system for the benefit of the people it’s supposed to serve. A symbol of equality and empowerment; a rare feature in the landscape of Australia’s political history. His strength in leadership stemmed from his will to serve the common man and to fight for his rights. His legacy remains just as powerful today, and perhaps, all the more relevant. May he be rewarded for his efforts. Gough Whitlam returns traditional lands in the Northern Territory to the Gurindji people. I didn’t know much about Gough Whitlam until my father-in-law mentioned a few years ago that he was the Prime Minister who introduced free tertiary education. “He was a bit of a socialist,” my father-in-law said jokingly. This triggered my curiosity and I went to my local library to borrow a two-part biography on Whitlam. What struck me most was that although he had a rather privileged upbringing in the Northern suburbs of Sydney, this didn’t stop him from working for the equality of all Australian citizens. He was gutsy and hard to deal with at times, but he had conviction, strength and great foresight. Later on, in helping my young daughter study Australian history, and while learning about the life of Vincent Lingari, we came across the famous picture of Gough and Vincent and the lyrics from Paul Kelly’s song – From little things, big things grow – about the events that tell of the day “a tall stranger appeared in the land… And through Vincent’s fingers poured a handful of sand”. 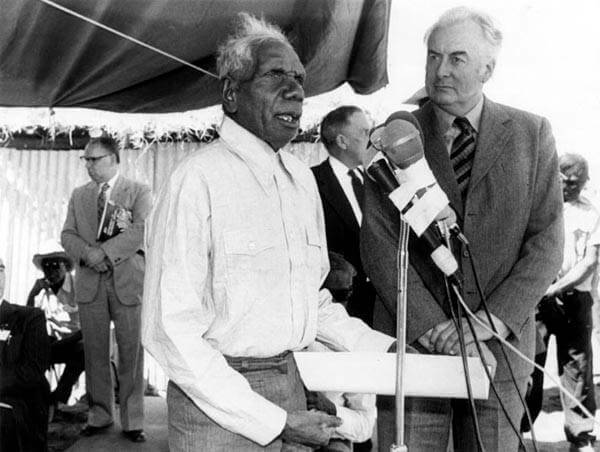 This tall stranger was, of course, Gough Whitlam, symbolically handing the land back to the Indigenous people, a man of compassion who recognised what other Prime Minister’s before him never had. This brought me to tears, and I was won over for good. 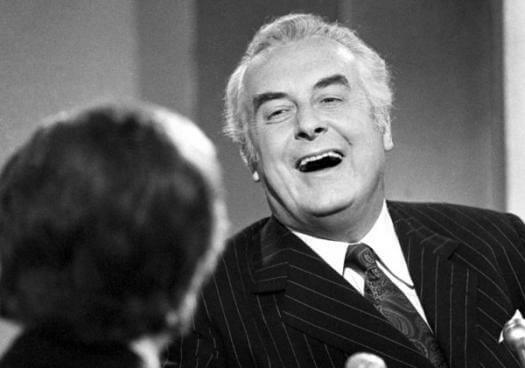 Rest in peace, Gough Whitlam. One of the measures of political success is the impact and longevity of policy reform and change long after one’s tenure is over. 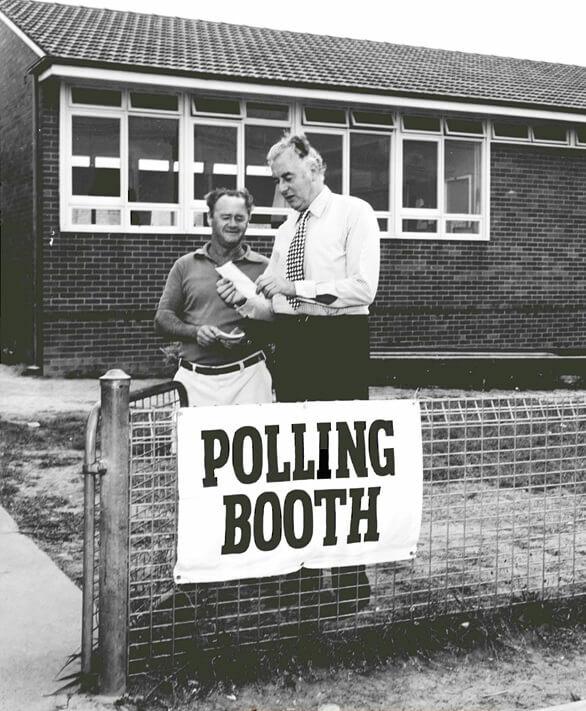 Whitlam’s legacy exists today in his transformative policies. He was the paragon of hope and optimism. He lived his vision and argued for it with intelligence and wit. Whitlam was a pragmatic champion of social change. A true statesman for his party and more importantly his constituents – the diverse people of Australia. We heard about Gough Whitlam growing up from our grandparents and then further into schooling. We learnt of his relentless pursuit for change and equality. The loss is deeply felt. To the Whitlam family, our thoughts and prayers are with you. A great loss to your family, but also to our country. Every now and again, a politician – hated though they may be – comes along and is able to perfectly sense the pulse of the nation. Gough Whitlam was one such politician. He encompassed the perfect combination of listening to the people as well as leading them. Although his time as Prime Minister was so short, his legacy has literally lasted generations. In fact, many current ministers sitting in Parliament today were recipients of his transformative policy of free university education. Leadership is a difficult thing to get right. Not all people placed in positions of power take it upon themselves to also be effective leaders. Gough Whitlam was ,without a doubt, a man who used his position in government to affect change. He had the courage and charisma not only to be head of state, but also a leader. He should not be remembered as the perfect prime minister, but as a true leader of our nation who did not waste his time passing the buck. Whitlam did the hard things that needed to be done, from a push for Indigenous land rights and self-determination to educational and legal reforms. He was a pioneer in building relations with China, which is now a world super power. The abolition of the White Australia policy and of fault-based divorce meant that Australia broke away from the shackles of our ultra conservative past. No doubt a leader worthy of recognition and respect is one that makes the changes that need to be made, whether they are immediately popular or not. He was the purveyor of social reforms in contemporary Australia with initiatives so wide reaching that they touch us today, legally and personally. I suggest, that Gough Whitlam did not fail, as he did what we all vote Prime Ministers in to do: show true-blue leadership. He took his gloves off and did the hard yacker; for that, I take my hat off to him. The leadership quality he possessed is something no one can take away from him, not even an Australian first dismissal. My first introduction to the behemoth that was Gough Whitlam took place some time in high school, perhaps at the age of 14. Surprisingly, it was in our Ancient History class; our teacher at the time was strongly opinionated and of the left-leaning, political variety and it was she who introduced us to the wonder that was Gough Whitlam. She drifted into an aside about those three years. Innocuous at best, she told us the bare bones – the facts of his Prime Ministership – as any good historian is often wont to do, and then, of course, the most shocking of revelations. She listed his achievements. Indigenous rights, withdrawing Australian troops from the ceaseless nightmare of Vietnam, free university education and the list was endless. She may as well have been starting the eulogy then and there for all the nostalgia and longing in her voice. Who was this man and how did he come to pass? Why is he no longer the leader of our country? I could not understand it. Perhaps I never will. Juxtaposing this with lessons of massacre and brutality in Vietnam, it was impossible to ignore the power of these actions, as it was around this time that we ourselves were bracing ourselves for a new war in Iraq. Trembling with anger, I traced my hands over the page listing his achievements, hoping to somehow understand a humane world of compassion and honesty, one for the people. I could not. And then a small voice emerged beside me, a minuscule, conservative country girl who lived at the school as a boarder said in a snarky voice, ‘Yeah? He ruined the economy’. Ah yes; the economy – that old chestnut. What is a country and who are its people? 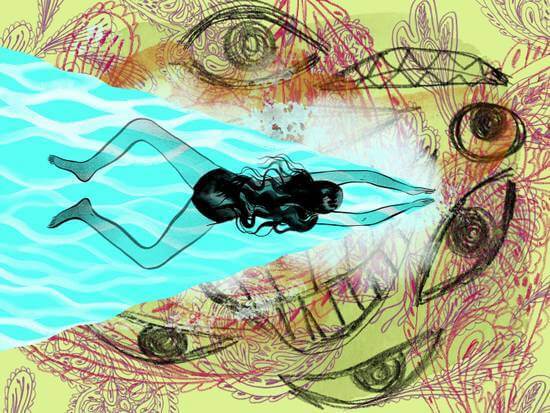 Does our humanity lie in our economy? I could not comprehend this reaction. Gough Whitlam was a Prime Minister for the generation that came before me, but in our imaginations he was a Prime Minister for all of us. Our Modern History teacher, Mrs Nixon, brought us closer to our most recent history. She told us how she campaigned for Gough, and recalled with nostalgia how she walked around campus with a t-shirt that read, ‘It’s Time’. In my imagination, there is a parallel universe where he is still ours. We’ll never forget you, Gough. History will not forget you. What defines a successful political career? Is is the lasting implementation of changes that reverberate throughout history? Is it being the catalyst for a change of attitudes that has lasted generations? Is it in inspiring so many through your actions? Or is it longevity? Knowing how to play the political game so well, you outlast every one of your opponents,until finally, time catches up and you lose your relevance? Attaining and keeping that wily ability to drum up support whenever you need to and riding that wave back into the Lodge? That would have to be one of the many questions facing the Australian public in the aftermath of Gough Whitlam’s passing. For all the incredible changes that he introduced, for all his foresight, his unending ambitions and his passion for equal opportunity, no one can deny his failure at actually remaining in power long enough to live up to the enormous potential he had. Thus, arguably, he achieved too much in his time in power, producing almost too much change to remain at the head of a stable government. People fear change, even loath change, but yet here was a man ripping into the very fabric of Australian society and re-printing it in his vision. It was almost too much, and, tellingly, he never lasted. I would argue that politics is below Whitlam. In that sense, I would never classify Whitlam as a great politician. He was unable to see out his term, unable to win back power, unable to play the game of politicians and public opinions well enough to be spoken of as such. I would instead classify him as something of a statesman, someone who’s vision and ideas burned far brighter and higher than any political game anyone played, arguably, ever. His powerful oration, his unerring grip on the need for equality and his enormous drive to widen the horizons of so many Australians sits far above any petty political divide. He stands head and shoulders above any other politician, being the rare kind of person that actually lives up to the title, “Prime Minister”.